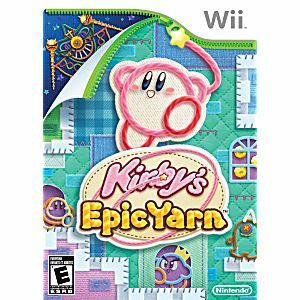 This is the Kirby's Epic Yarn Nintendo WII Game guaranteed to work like new and backed by the Lukie Games 90-day no questions asked returns policy! I must admit that I was looking for this game in a reasonable price for quite a long time already. Thankfully I was able to find it at Lukie Games. Game is a Wii platform game with amazing graphics. If you are looking for a not too hard game that still can shine despite its age - it is really a game to go. Not to mention that it is also one of the best Kirby games on non-portable consoles. Highly recommended. As a side note I can also add that the game was delivered super fast in a very good condition, just like advertised. Arrived on time and was in working order. This is a great relaxing game. A very cute and pretty game to look at. This is the perfect game to co-op with even a non-video game player it's that accessible. Despite being easy it never seems to get boring. A must have in any wii collection. Excellent condition. This is a very well made game and a ton of fun. Great for casual gaming. Highly recommended! If your a big fan of the old style of 16 bit platformers than this is probably a great game for you. The "Yarn" graphics look really cute and the formula has been tinkered with enough that it feels like a fresh new take without feeling alienating. It has to be emphasized that the graphics aren't just a gimmick, its a fully realized world of yarn so to speak and you can tell a lot of care went into making the game unique and special. For instance, every time a new stage opens up it goes through a whole animation that is fun to watch (and some of them are very funny.) There are also plenty of challenge stages which include your usual fare like Time Trials, collecting a certain amount of beads within a time limit, etc. You also have a room that you can decorate yourself with items collected during missions and bought at the two shops in the game. The soundtrack is also noteworthy, many of the tracks are new but they made sure to include some remixed versions of the classic songs from Kirby titles past. 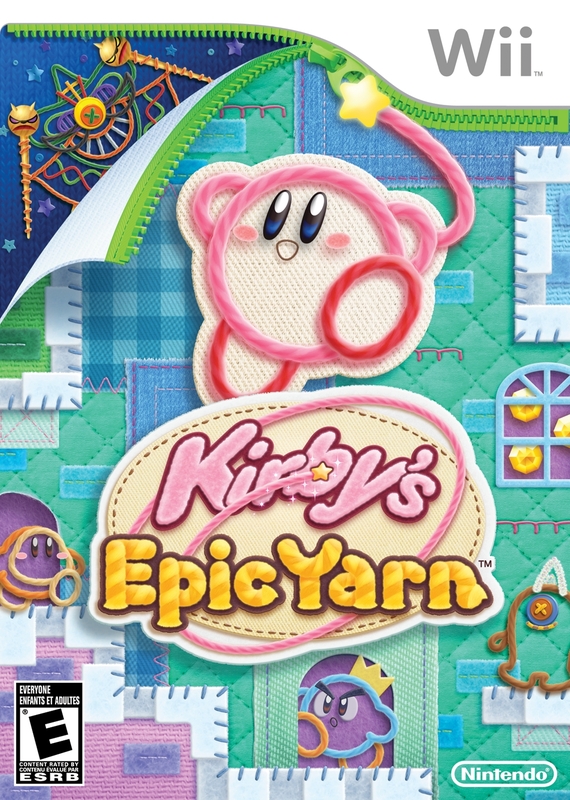 If your a fan of the Kirby series or just a fan of platforming goodness you can't go wrong with Kirby's Epic Yarn. The game didn't come with any major scratches and every thing worked fine. My brother thought it was cute and fun.